These aviation guides have been written by COPA as an additional service to members. The following packages are multi-paged booklets full of information gathered from COPA Staff, COPA Flight contributors, and members. The COPA Guides are updated on a continuing basis so please check this page for the latest version before using information contained in any Guide. Paper versions are also available from the COPA Office for a fee to cover printing and mailing costs. NOTE: Some of the links below are available only to COPA members. To become a member please click on the Join tab at the top of the page. · This guide is designed for COPA Flights and COPA members who wish to fly young people. COPA For Kids aviation program provides free of charge a motivational aviation experience, initiating young people to the science of flight. This COPA Guide will provide just about everything you need to know to get started flying young people in your area. The Guide to Vulnerable Sector Checks is a new resource as all COPA for Kids volunteers will require a check as of next year (2019). · This guide provides information for organizers of aviation events. Although directed at COPA Flights (local chapters of COPA) and COPA members, it is also applicable to anyone who organizes aviation events in order to ensure that they are safe and have appropriate insurance protection. This Guide also helps COPA members and COPA Flights understand what is covered by COPA Air Meet insurance when events are organized in the name of COPA. 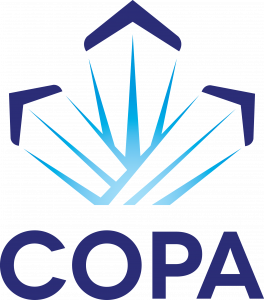 · COPA Flights are the local chapters of COPA. Join the growing number of aviation communities that are establishing COPA Flights to revitalize recreational flying in their area. This guide outlines how to start, run and promote a COPA Flight. · This guide is for people who used to fly and would like to get back into flying. It explains the requirements and gives an easy checklist to get you through the medical, recency and re-currency requirements along with much more useful information. · This guide was written as a result of numerous requests by airport managers and municipal officials for guidance material on how the most successful public airports are run. The guide includes information gathered from those that run the country’s most successful airports about landing fees, airport governance structure, tax applications and much more. · Welcome to the wonderful world of flying without engines, This guide – externally written for COPA by the Soaring Association of Canada, covers all aspects of gliding and soaring in Canada. · Information on how to work closely with your local Air Cadet Squadron..
· Written jointly by AOPA and COPA, this extensive guide is for pilots planning to fly across the Canadian/American border for the first time. It includes information for pilots of either country on cross-border flight procedures, regulations, customs and much more. AOPA members can also contact COPA staff for assistance with flying in Canada, including having access to our Guide to Cross-border Operations. · The package includes step-by-step procedures, good-to-know tips, articles by well-known authors and forms for Offer to Purchase, Bill of Sale and two different sample Partnership Agreements. · This is an aircraft operating cost estimating program. 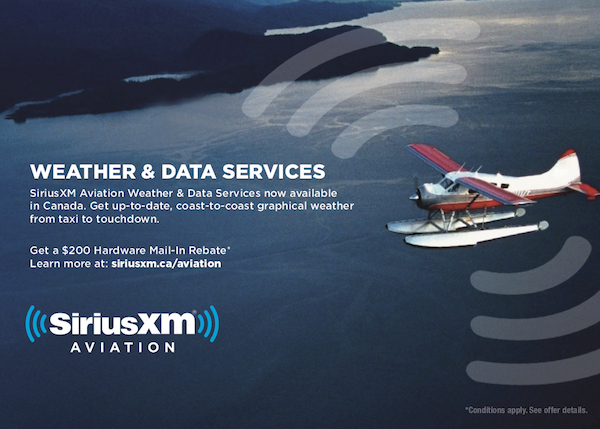 Just plug in the numbers and the program works out your aircraft costs per year and per hour. Requires Microsoft Excel to operate. · Completely revised with more information on Federal Jurisdiction! This guide will assist COPA members in developing their own private aerodrome including dealing with municipal and provincial governments. · Written by two COPA members who built a private hangar on leased land at a registered aerodrome. Helpful tips on what to do, what not to do, and what to do differently. · To assist you when you find yourself the subject of a Transport Canada enforcement action: including what to expect, how the system works and how to deal with the investigation process and TATC (formerly CAT) appeal, if necessary. The guide deals with loss of medical appeals too. · This guide has been written by Garth Wallace to give information to pilots about the practical and psychological aspects of aircraft accidents. It is a wonderful guide for COPA Flights, local clubs and communities to use for accident planning – read it before you have an accident! · This guide will take you through some of the key things to know about certified aircraft including aircraft certification, STCs, LSTCs, ADs, annual inspections, “out-of-phase” maintenance items and more! · This guide explains the background and regulations governing the Owner-Maintenance Aircraft Category. It includes everything you need to know to put an aircraft in the O-M category. · An introduction to ultralight aircraft for both new pilots and experienced non-ultralight pilots! The guide includes sections on what ultralight airplanes are, which licences are required, regulations and operating cost reports on some typical ultralights to give a flavour for owning and flying these aircraft. There is also data on ultralight safety and answers to many questions about ultralights. · This guide is designed as an introduction to amateur-built aircraft of all types. It takes the pilot new to amateur-builts through the whole spectrum of aircraft in this category, including airplanes, helicopters, gyroplanes, balloons, airships, gyrogliders and lots more. This Guide is designed to give you the background information that you will need to get involved in amateur-built aircraft, whether you are planning to design your own plane, build from plans, build a kit or buy a used amateur-built aircraft. · Welcome to the fascinating world of ex-military Warbirds, Soviet Bloc transports, jet trainers, military liaison aircraft, non-certified sailplanes from exotic parts of the world and many more unusual types of aircraft – the uniquely Canadian “limited class”. This Guide will walk the pilot or prospective owner of one of these aircraft through the new Canadian rules, covering the advantages and the pitfalls found in this diverse group or aircraft.